Nearly all of the courses for students earning an Associate of Arts degree in business will soon be covered by a free OpenStax textbook, thanks to a series of six new introductory business textbooks being produced by the Rice University-based publisher of open educational resources. The series includes texts for Introduction to Business, Business Ethics, Principles of Management, Entrepreneurship, Principles of Accounting and Organizational Behavior — all courses taught at most colleges and universities in the United States, according to a news announcement, and typically required courses for degres in business or related fields. Topics covered include developing and managing an organization, organizational structure, business objectives, finances and marketing. "Publishing multiple textbooks along a single career pathway has always been a part of our vision for the future of OpenStax, and we're excited that we can now embark in this direction," said Richard Baraniuk, OpenStax founder and Victor E. Cameron Professor of Electrical and Computer Engineering at Rice, in a statement. "A series of free, high-quality books will enable students to rely on having affordable materials beyond their initial introductory classes. We hope that the business series is the first of many degree sequences." "Since 1978, the price of college textbooks has increased more than 800 percent," commented Brennan Brown, director of educational partnership for the Charles Koch Foundation, which contributed grant funding to support the OpenStax business series. "With price removed from the equation, more students are gaining access to better materials thanks to OpenStax. Innovations like the new, open series could eventually allow a student to earn an associate's degree in business without ever having to purchase a single business textbook." 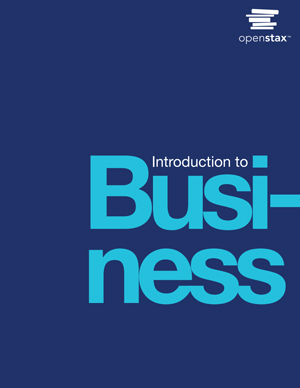 The first textbook in the series — Introduction to Business — launches today on OpenStax.org; the remaining books will be added to the OpenStax library by 2019. All OpenStax textbooks can be accessed free online, with a low-cost print version available through Amazon or a number of college bookstore suppliers. For more information, visit the OpenStax site.